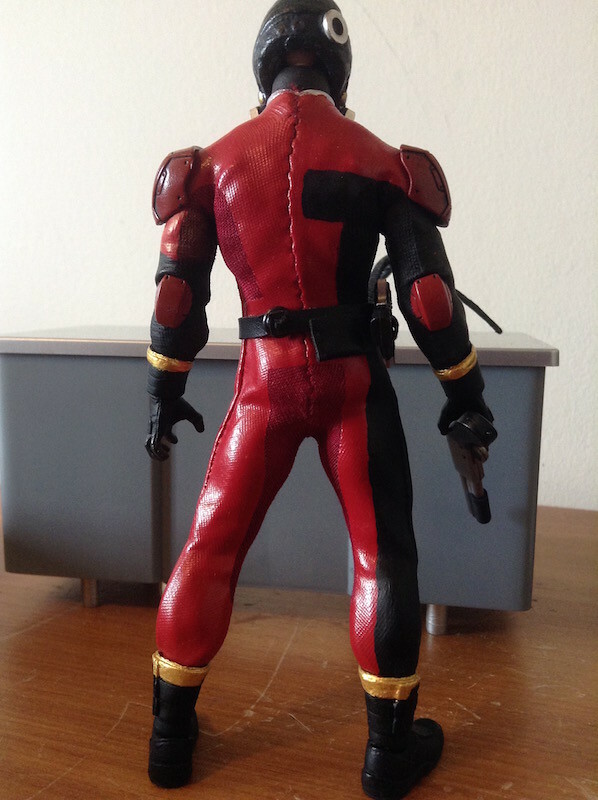 After the changes with Photobucket a little while ago, all of the images I had posted of custom figures I made disappeared. 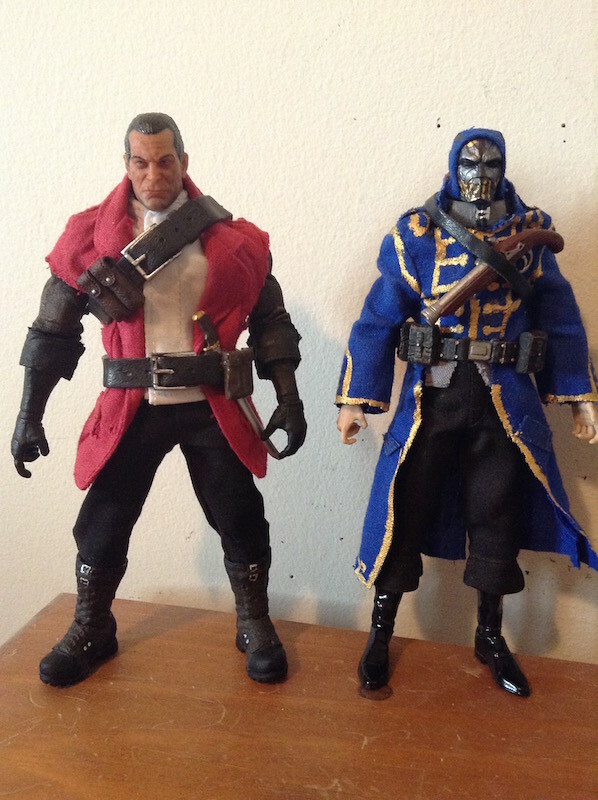 None of the figures I made were all that great or complex, but since then I've gained a lot of knowledge about customizing, and made some figures I'm pretty happy with (although they're still far from great). 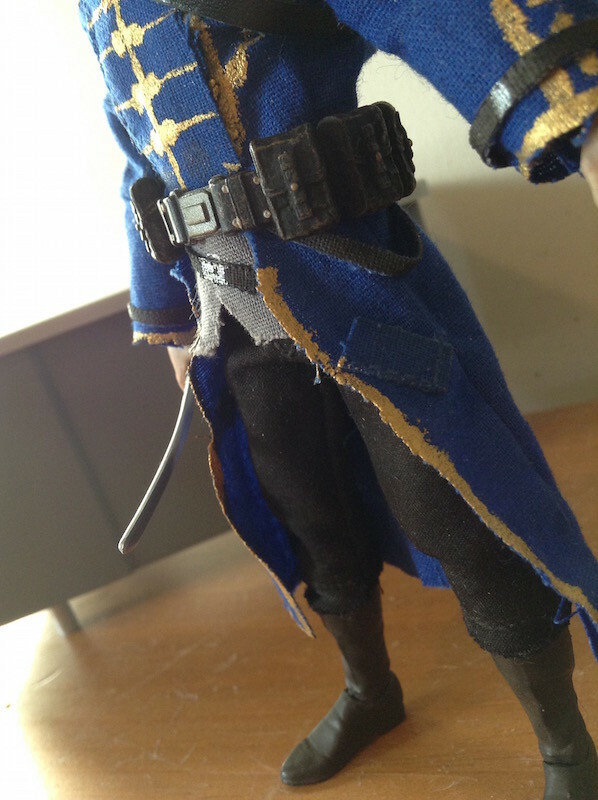 The first figure I've been working on is Daud from the video game Dishonored. He's one of the main antagonists of the campaign, but is the protagonist of the excellent DLC, which is about his search for redemption. He's a really interesting character. 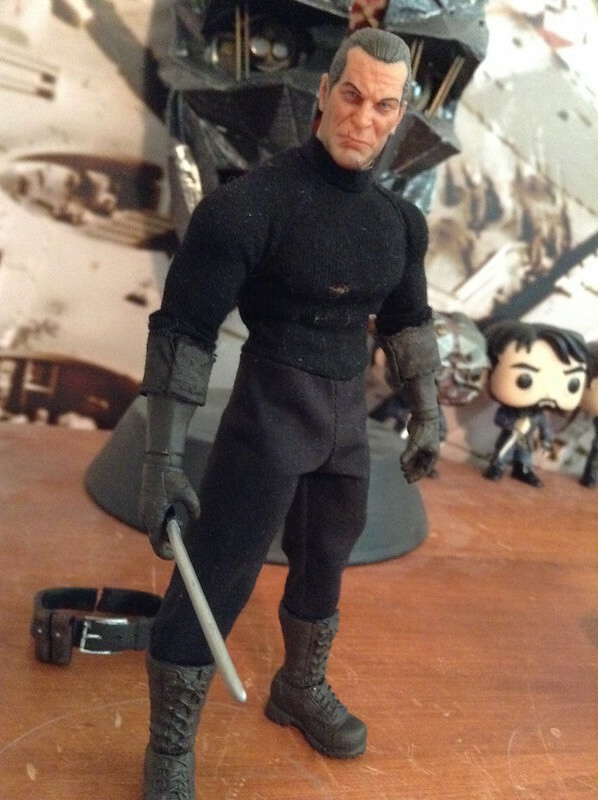 The base figure for this was a damaged Mezco Punisher (I accidentally broke the wrist peg when swapping the hands one day). 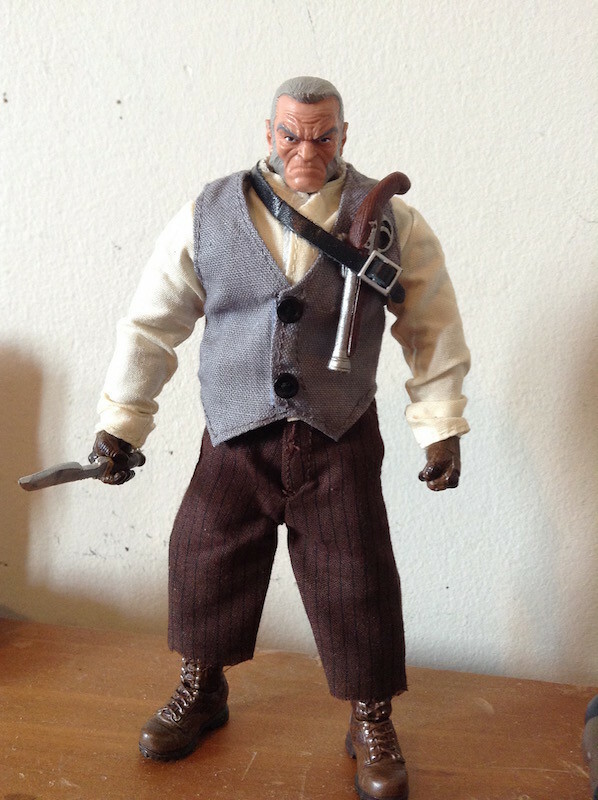 I don't like to use Mezco figures as bases for customs, but this one was already damaged and I would be able to use the existing clothes and head. 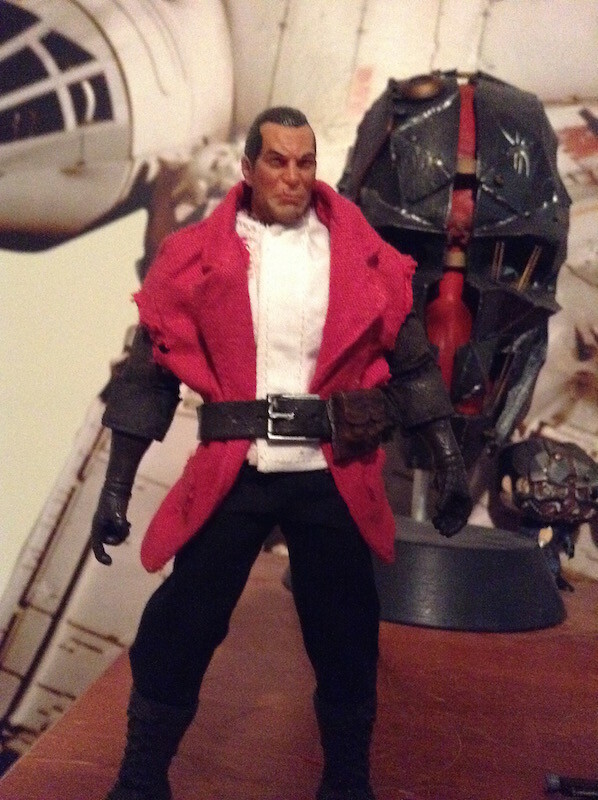 The coat and shirt are from the Classic TV Toys website. 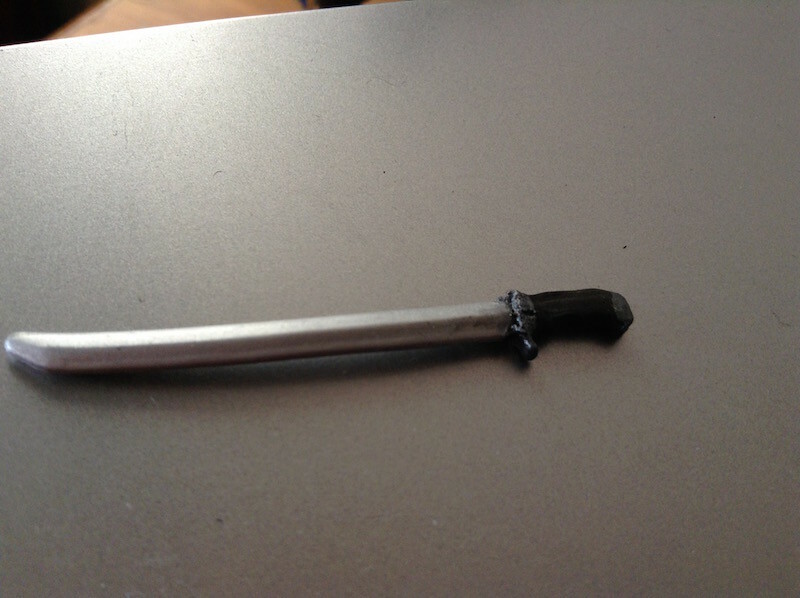 The head is from the Mezco Punisher figure, but with the hair repainted and a scar added with an X-acto knife. 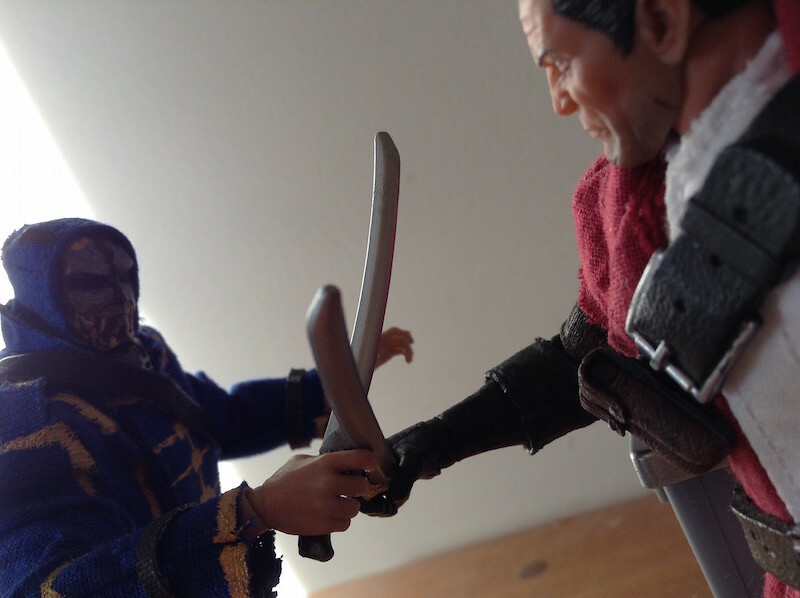 The belts and sword are from a combination of Mezco, NECA, and Marvel Legends parts. 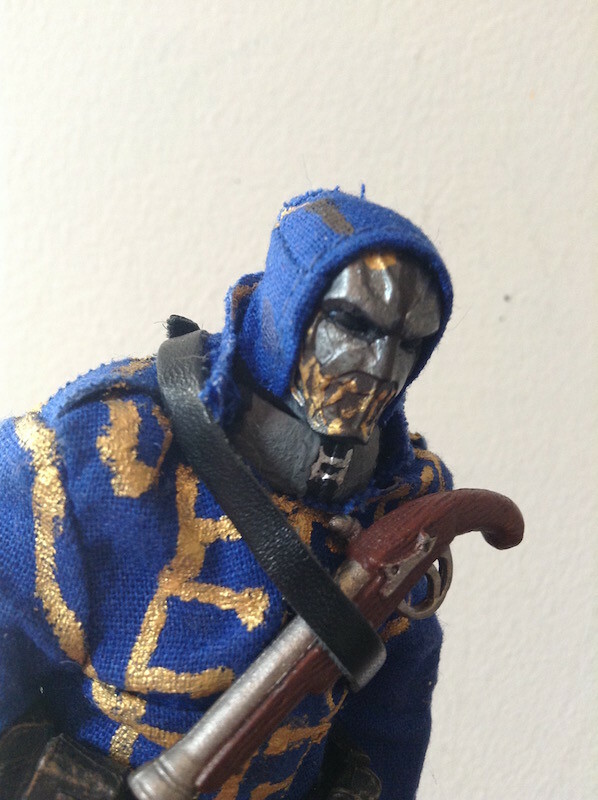 The next figure I made is one of the assassins that Daud commands. They are encountered in the apocalyptic flooded district, and are some of the most enigmatic and dangerous enemies in the game. 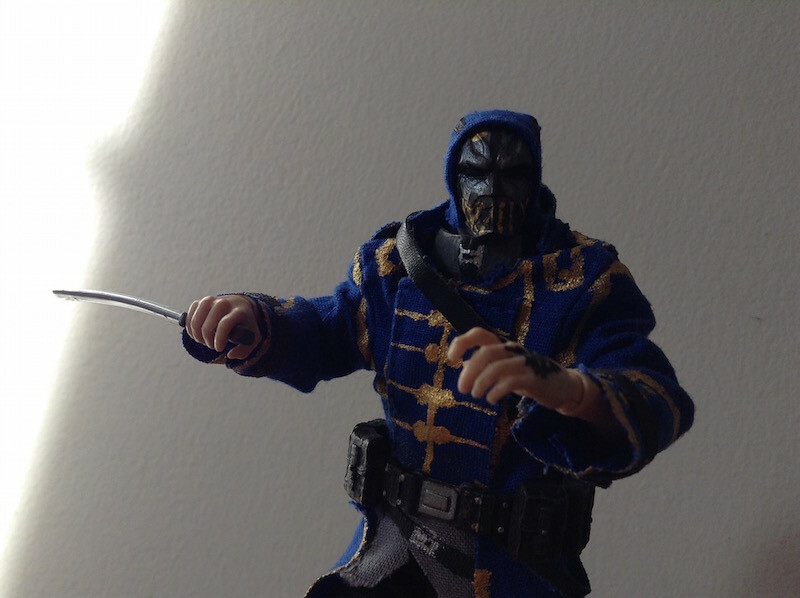 The base figure is a Marvel Legends Grim Reaper body. 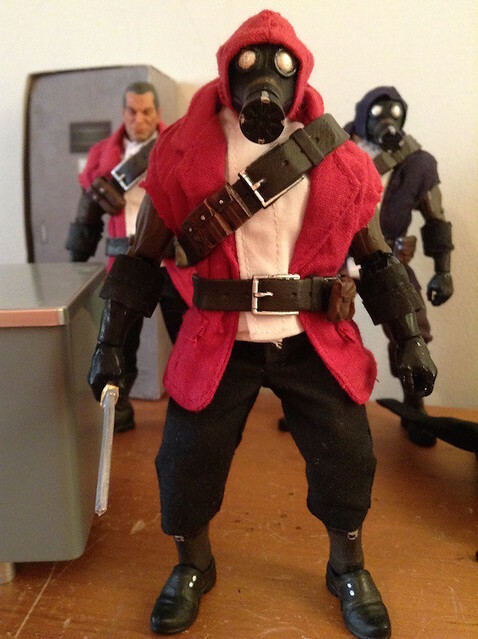 The clothes are all from Classic TV Toys, and his gear is a combination of parts from ML and TMNT figures. 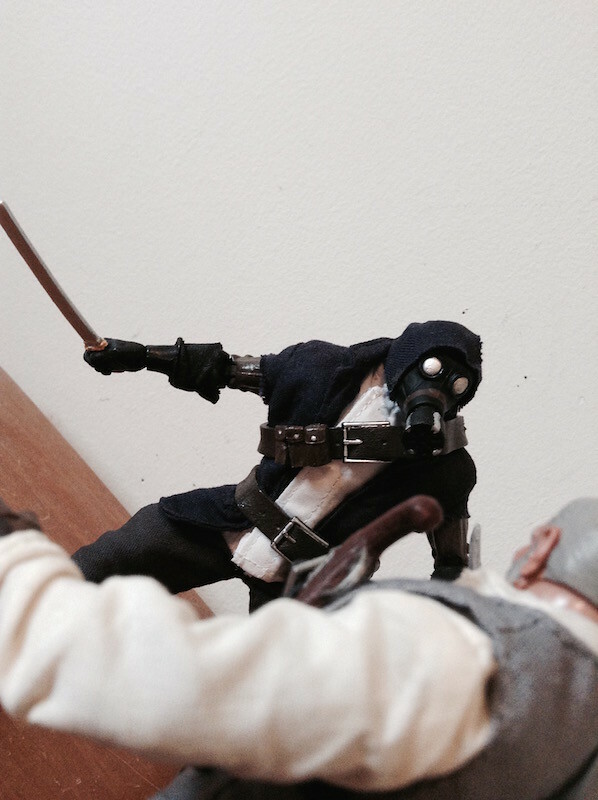 The gas mask is from the old DC Direct Golden Age Sandman figure. 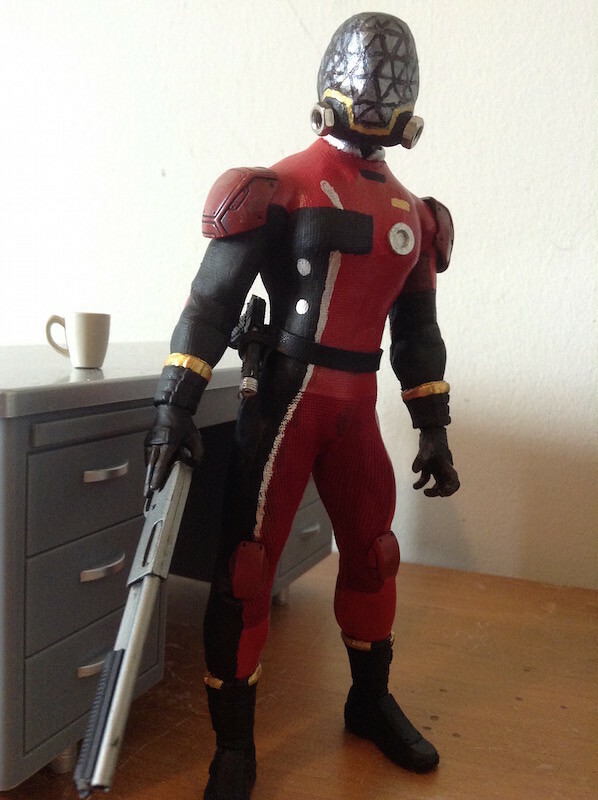 This is more of a kitbash than a complete custom. 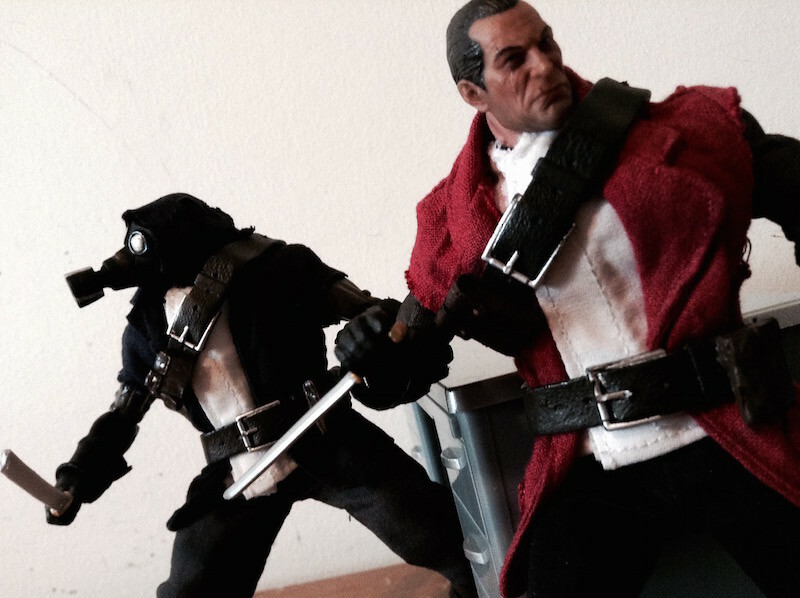 I was trying to make a figure that I could use for photos with my other custom figures.The design was loosely based on some of the street gang characters from Dishonored. 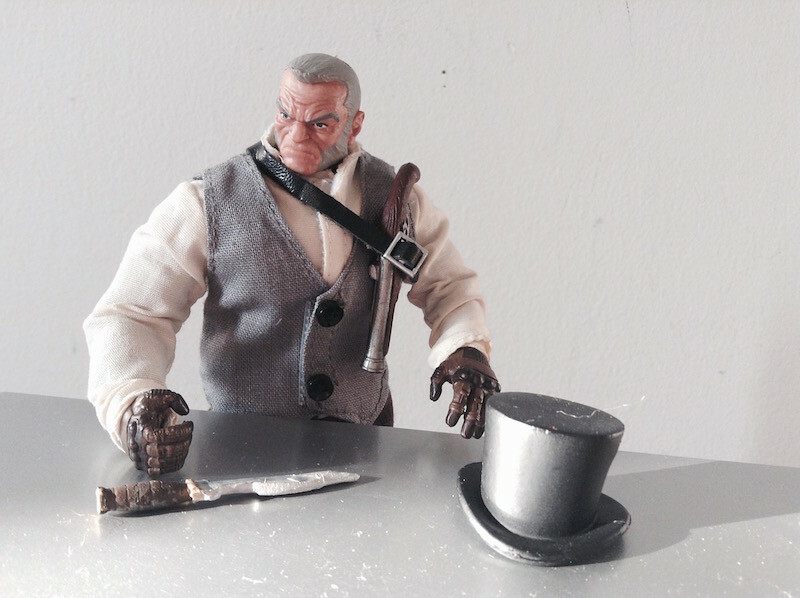 I had some spare classictvtoys clothes that I added to Mezco Steve Rogers, swapped the head with ML Old Man Logan, and painted the knife. 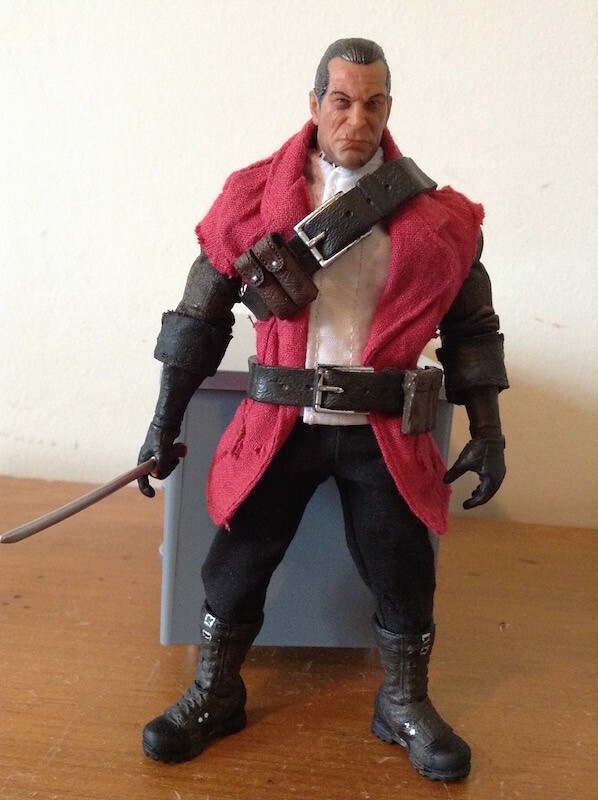 The focus of my collection has moved away from comic book characters, but I still wanted to make sure that I could easily change this figure back to Steve Rogers. This is Billie Lurk. 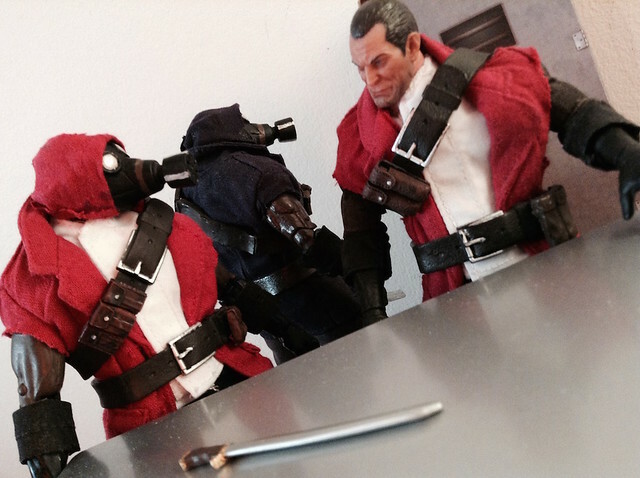 She is Daud's second-in-command in Dishonored (and the protagonist of the upcoming Dishonored: Death of the Outsider). 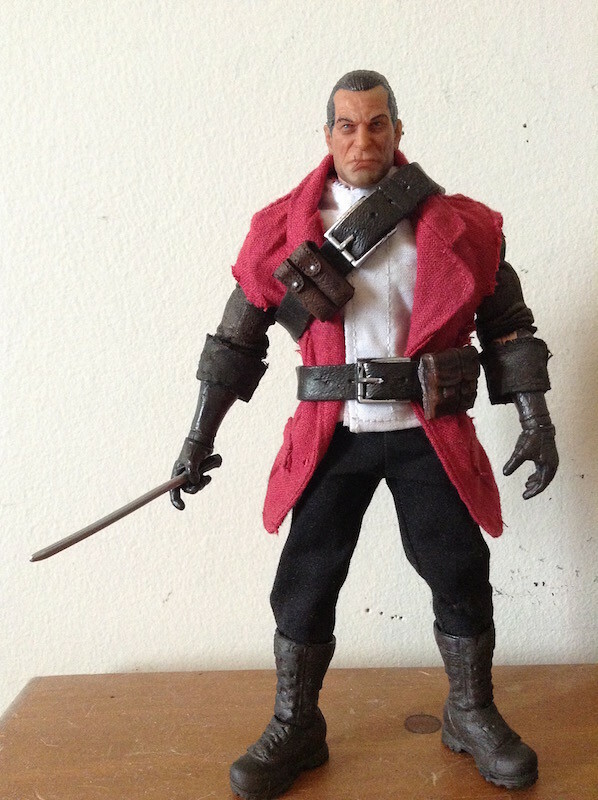 This figure has the same recipe as my earlier assassin figure, just with slightly different clothes. 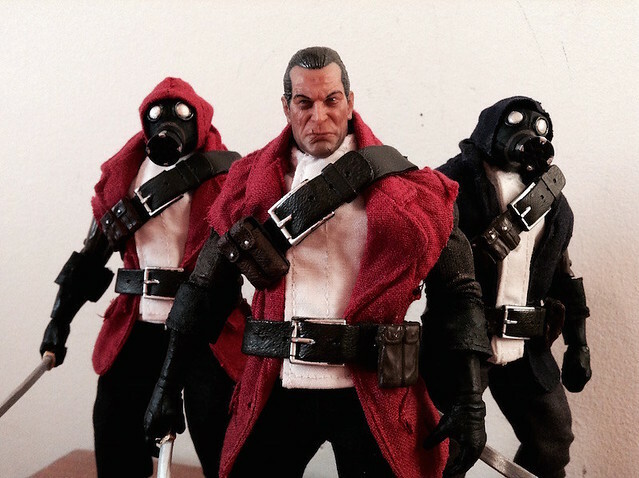 I don't know this game, but I know cool custom made figures. 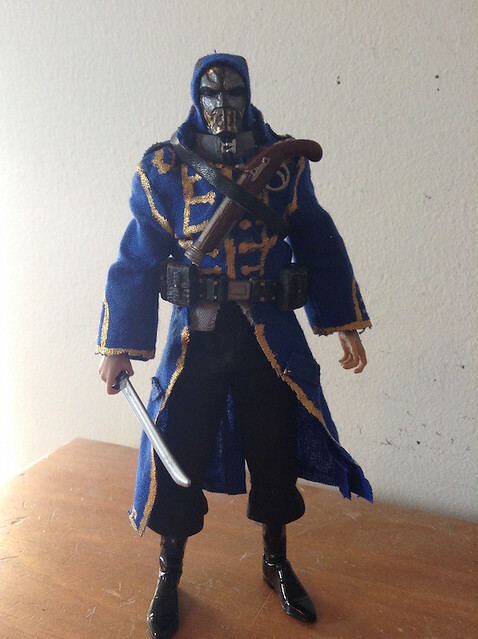 This figure is Corvo Attano, the protagonist of Dishonored's main story. I've pretty much stopped collecting in favor of focusing entirely on customizing, so I repurposed some figures I already had to make this. 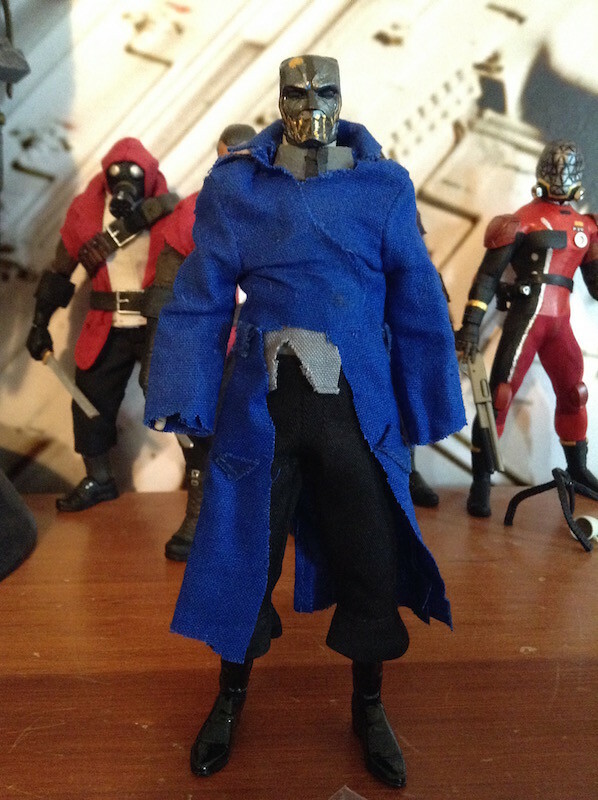 The body is a Mezco Star Trek figure, the head is from SH figuarts Batman, and the coat is a modified ClassicTVToys overcoat. 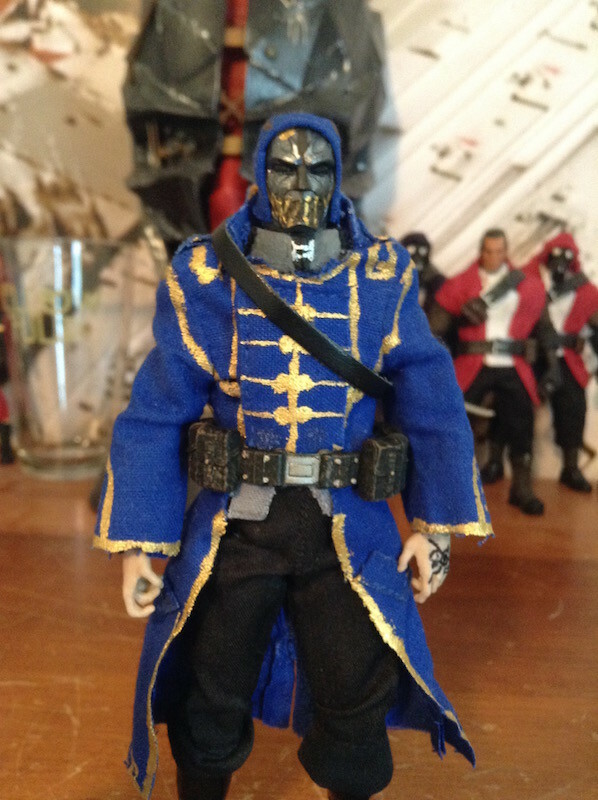 The mask and coat both required a lot of painting. 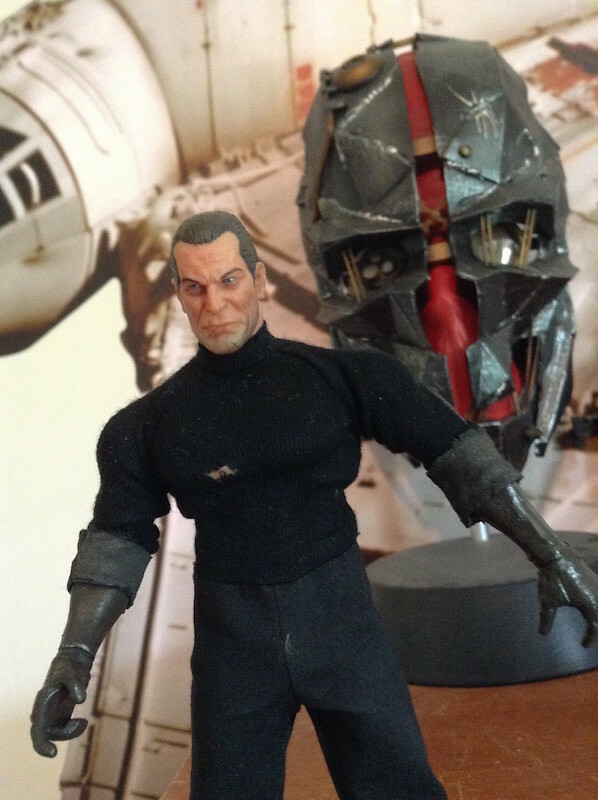 The head and the ball joint on the neck did not fit together, so I removed the neck from another figure, glued the head to it, and attached it to the base figure's neck joint. 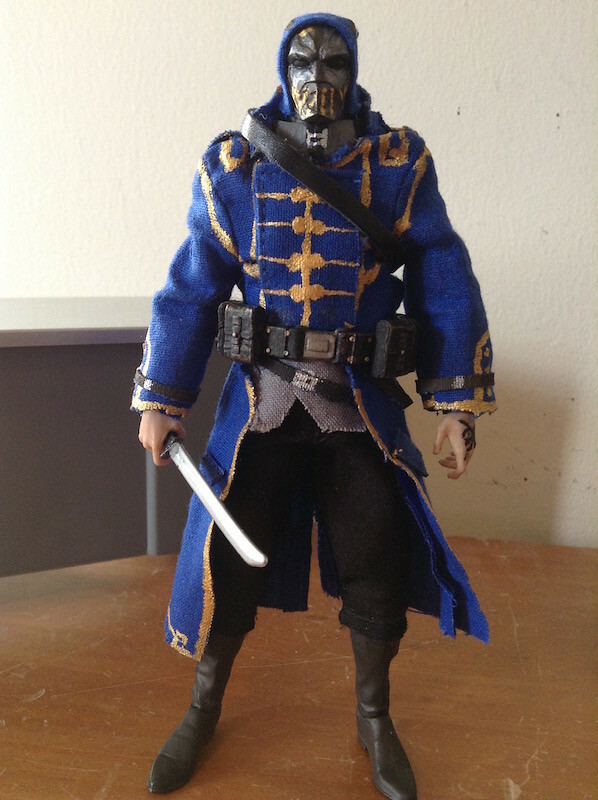 This figure might be a little out of scale with my other Dishonored customs, as the head was too small for the base bodies I used for my other figures. 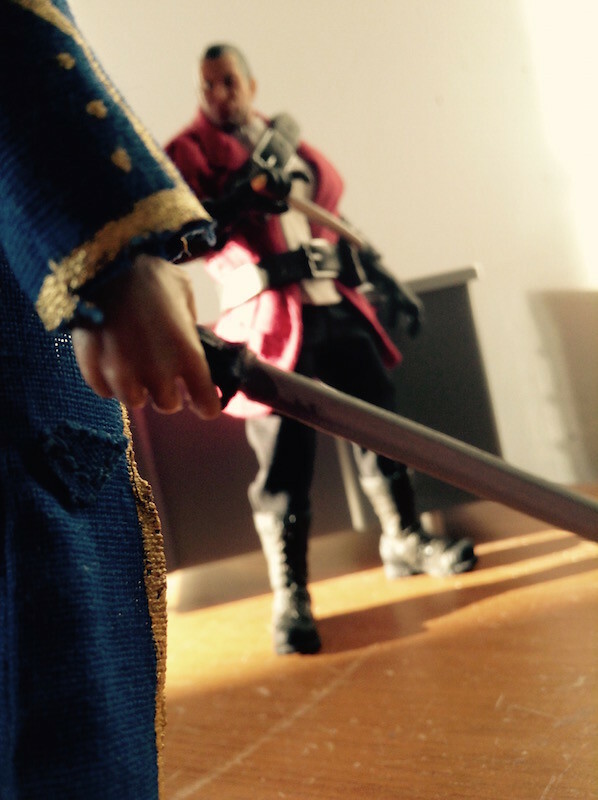 "Come to settle our debt? You'll understand if I don't make it easy for you." 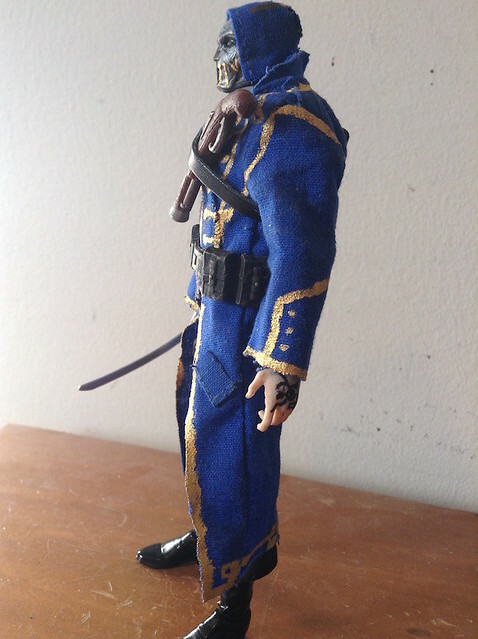 I made this figure a few months ago, but for some reason I forgot to write about it here. Anyway, this is Morgan Yu, the protagonist of Prey, another game from the creators of Dishonored. 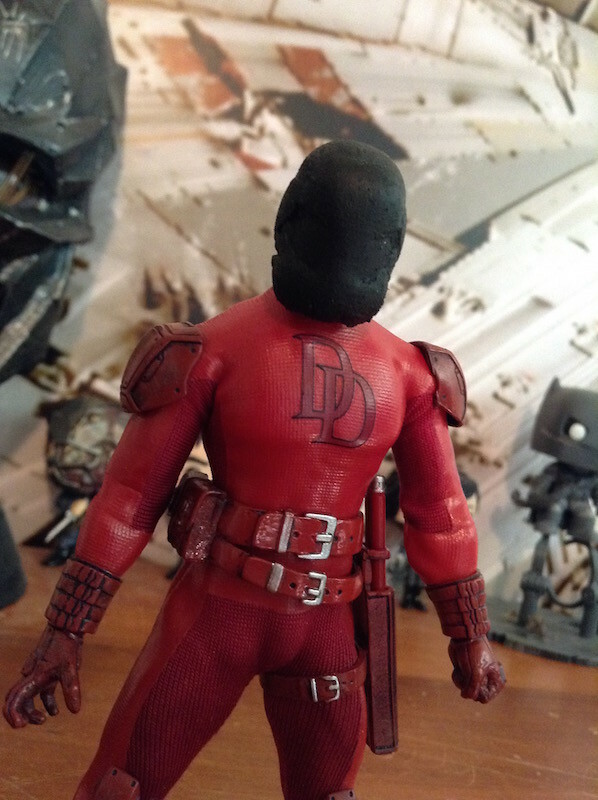 The idea for this figure came about when I noticed how much Mezco Daredevil's costume resembled Morgan's spacesuit. 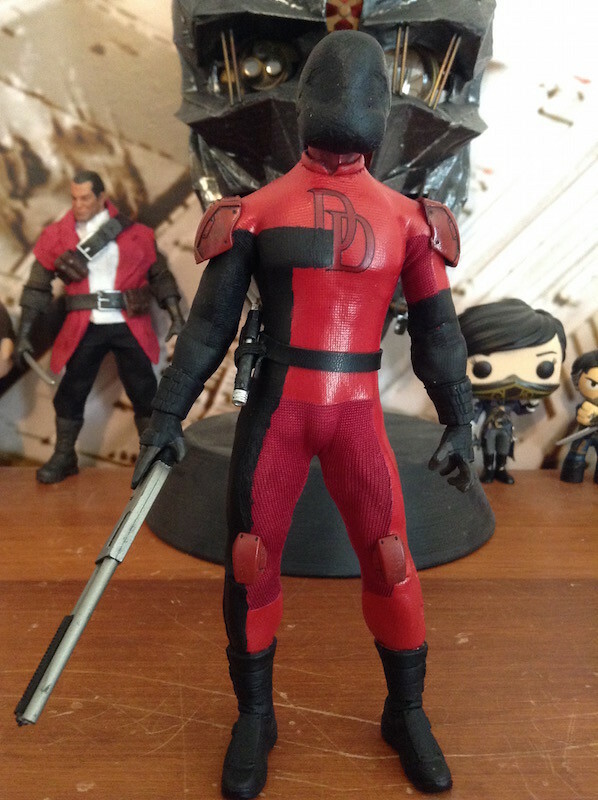 I like Daredevil, and I liked that figure a lot, but I like Prey more, so I used this. Most of the work was painting this time. The most difficult part was the helmet. 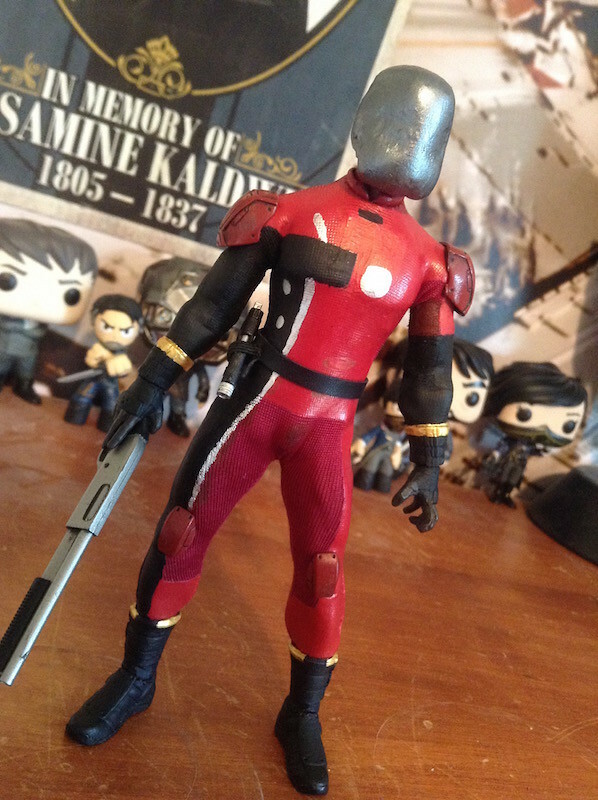 It started off as a Marvel Legends SHIELD Agent helmet, which I sanded into the shape of a space helmet. The helmets in Prey are made of small triangular tiles, which was difficult to replicate. I tried a bunch of different approaches, and I ended up drawing the pattern with a permanent marker. 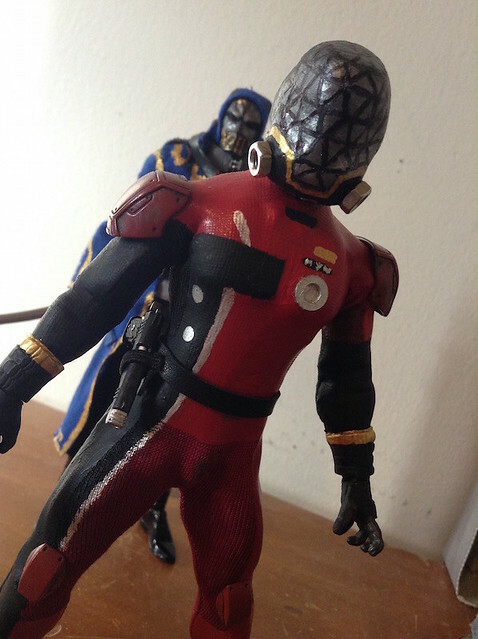 I also made one of the aliens from Prey, called a Mimic. These are spider-like creatures that can disguise themselves as everyday objects like coffee mugs or chairs. Creepy. This is made of parts of NECA Aliens figures that I painted and glued together. This week I also added a name tag to Morgan's suit. Painting tiny letters is difficult. Not perfect, but better. I'm working on a few more changes as well. 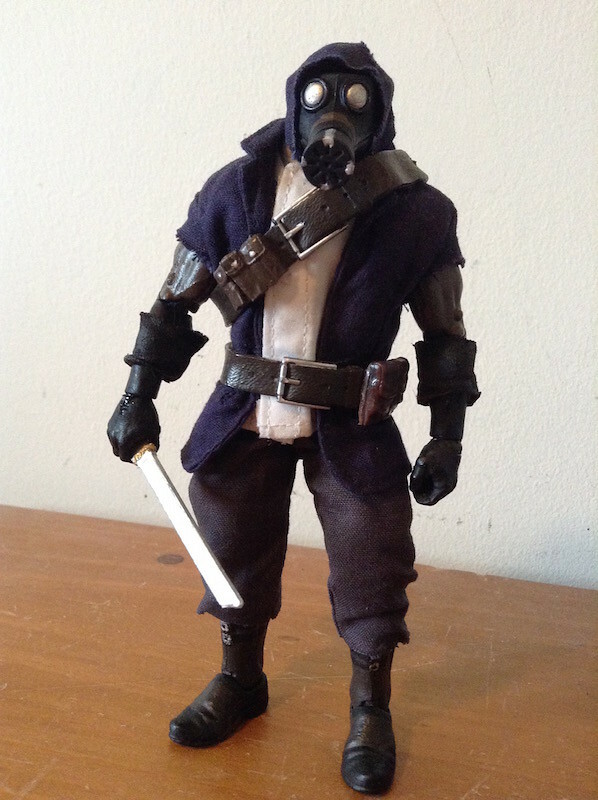 I've made a bunch of changes to my Corvo figure. There were a lot of inaccuracies in my original version, but now it's somewhat closer to his in-game appearance. 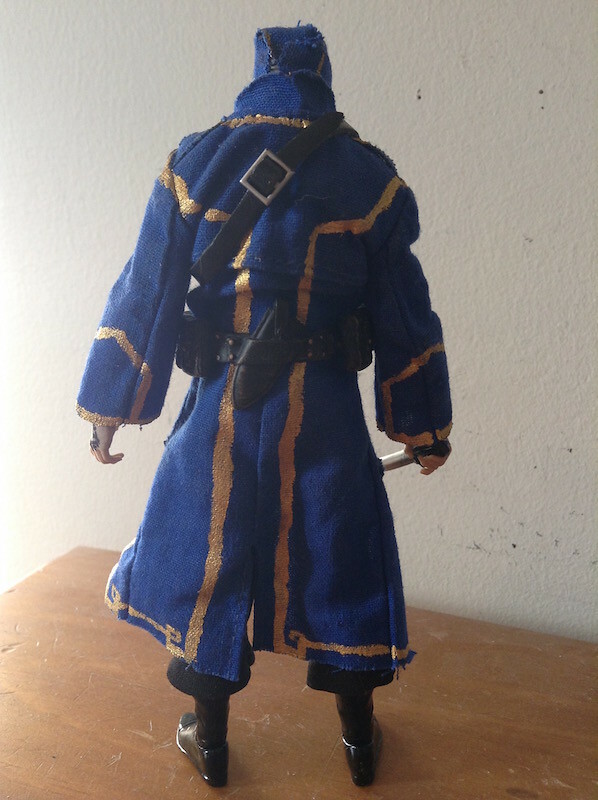 I painted a new cloth piece for the front of his coat, made the grey part of his shirt longer, trimmed the pants, painted the boots brown, and added the brown straps to the shirt, sleeves, and belt (these are made of painted strips of cloth). lobsterjohnson ... great detailing too!